Reading Counts: Level 4.5 / 22.0 Points / 48714. 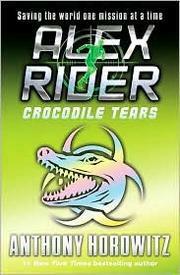 Alex Rider: Crocodile Tears (#8) Anthony Horowitz. Accelerated Reader MG+ 5.4 14.0 133870. Reading Counts RC 4.5 22.0 48714.